Essential tremor (ET) is a brain condition that is thought to arise from abnormal electrical brain activity. 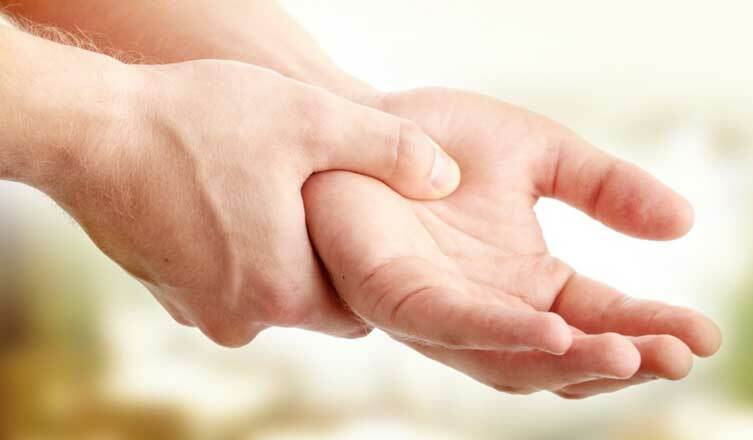 This leads to uncontrollable shaky movements (tremors) of the hands, limbs, head or voice. It is the most common movement disorder. It can resemble tremors that are symptoms of other conditions, but in fact it is not connected with any other disease. While it usually starts as mild shakiness, often on one side of the body, it is a permanent condition that can worsen over time. Essential tremor is more pronounced during intentional movement such as performing tasks with the hands, and less noticeable when at rest. It is not life-threatening, but if the tremors become severe, ET lessens a person’s quality of life. Daily activity such as drinking from a glass or cup, shaving, writing or typing, buttoning clothes or tying shoelaces can become difficult–even impossible. For those whose jobs depend on hand coordination, it can interfere with their ability to work. + Who gets Essential Tremor? Anyone can develop ET at any age. However, ET is rare in very young children. Most cases develop in adulthood, and the incidence increases with age. Persons with a family history of ET make up about 50% of patients, but specific genetic mutations have not yet been identified. When there is no family history, it is uncertain what causes the abnormal brain activity. No, having ET does not cause other illnesses. Some symptoms of ET also appear in conditions like Parkinson’s disease, multiple sclerosis, brain injury, etc. but ET is a separate condition. Although ET can worsen over time, it is not a life-threatening disease. + How is ET diagnosed? People with suspected ET should consult with a movement disorder specialist. Because there are no medical tests (e.g. bloodwork) or brain scans that define ET, the doctor will examine the person, and ask about the history of the tremor. A diagnosis of ET is based on answers to questions as well as physical cues that distinguish ET from other conditions that cause tremors. + Can ET be cured? Unfortunately, there is no cure yet for Essential Tremor. Treatment is aimed at reducing tremor severity and improving quality of life. People with mild tremors may initially opt out of treatment until their condition markedly reduces their quality of life. When ET patients do not want medication, or medication no longer works, new treatment approaches like MR-guided Focused Ultrasound (MRgFUS) offer potential long-term symptom relief. Neuravive MRI-guided focused ultrasound (MRgFUS) is a new, noninvasive way to control Essential Tremor by correcting it at its source in the brain. It is used when medication no longer works, or a patient does not wish to use medication. Focused ultrasound treatment for essential tremor was approved by the U.S. Food and Drug Administration (FDA) in July, 2016. Sperling Neurosurgery Associates offers the state-of-the-are Neuravive MRgFUS treatment. Neuravive MRI-guided Focused Ultrasound is a breakthrough, non-invasive treatment that reduces or eliminates the symptoms of ET. It is based on MR-Guided Focused Ultrasound (MRgFUS) that utilizes high intensity focused ultrasound guided by Magnetic Resonance Imaging (MRI). Ultrasound is a form of energy that can pass harmlessly through tissue. It does not involve surgery or radiation. Thanks to brain mapping done by our powerful magnet and specialized software, Neuravive focuses 1,024 beams of ultrasound energy all pinpointed on the very small brain area that is responsible for the tremor, gradually destroying the targeted area. Since the Neuravive procedure is done inside the MRI “bore” (tunnel), high resolution imaging monitors the treatment. When it is over, the result can be an immediate and significant reduction in tremors. During the procedure, the patient is awake. There are no incisions or holes drilled into the skull, and there is no insertion of electrodes or probes into the brain. Instead, ultrasound waves pass through the brain until they meet at a very small point in the brain (VIM of the thalamus). When the waves intersect at the VIM, they create a tiny ablation or burn. This interrupts the tremor signals. The whole procedure is conducted inside the MRI scanner, enabling the physician to plan, guide, and target the area easily. It also enables precise measurement of the temperature in order to verify that only the intended tissue is targeted and destroyed. Neuravive is FDA approved. It has been clinically tested, and found to lessen or eliminate Essential Tremor for a minimum of 12 months for nearly 80% of patients. The same study found that MRgFUS produced the fewest side effects at 1 year after treatment when compared with Deep Brain Stimulation (DBS) and radiofrequency thalamotomy. Only a doctor can evaluate and qualify an ET patient for treatment using the Neuravive MRgFUS. If you or someone you love suffers from essential tremor and you’d like to know more about how we can help, call Sperling Neurosurgery Associates today at (908) 956-5946. Estimates suggest ET affects 2-3% of people globally and about 7 million people in the U.S.
Is Neuravive MRgFUS Right For You?